If a driver misses a weighbridge call during qualifying, it’s normally an instant disqualification from the session. But Vettel’s weighbridge transgression was anything but normal (plus, he didn’t technically miss it) and he’s managed to get away without any sort of grid penalty, instead receiving a reprimand and a hefty fine (by non-F1 driver wage standards) for his antics. It turns out that he did actually turn his engine off and that the scales did gain an accurate reading before they broke. The stewards issued their verdict based on the fact that he broke the scales as a result of failing to follow the correct procedures and failing to obey the instructions of officials. Drivers getting called into the weighbridge during qualifying is nothing abnormal. It’s a completely random selection and the process is in place (and has been for years) to prevent teams from running an underweight car during qualifying and then adding weight in the garage later. Well, yeah, you can see how it can be a little bit harsh in the right set of circumstances, but you can’t realistically expect the FIA to make or enforce specific rules for qualifying sessions where it might or might not rain. Plus, in the end it made no difference and he comfortably made it through to Q3 anyway. With hindsight, the only risk in the situation was actually Vettel’s own impatience. No penalty is a good thing, though. 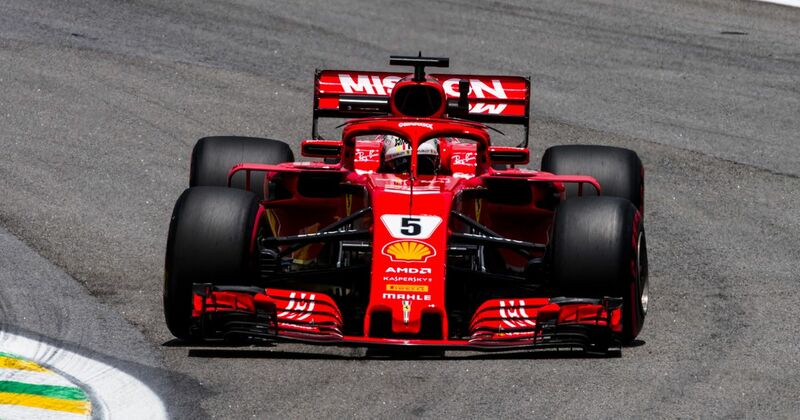 With Lewis Hamilton not getting penalised (or even investigated) for his incidents either, it means we have a good old-fashioned Vettel vs Hamilton fight from the front in the race. We also get to see whether Ferrari’s strategy call turns out to be an inspired one. It could be a cracker!